The District of Port Hardy is seeking to purchase an air compressor and 22 SCBA Packs (fire fighting equipment). The financing of the fire fighting equipment will be by way of agreement under section 175 of the Community Charter; to borrow from the Municipal Finance Authority up to $215,000 with a five-year renewable term and amortization of approximately 10 years. The interest rate will be variable and annual payments of principal and interest are budgeted to be approximately $25,000 per year. Eligible electors of the District of Port Hardy may register their opposition to the financing by way of Agreement under Section 175 of the Community Charter for fire fighting equipment; intended to be purchased by the District of Port Hardy, by obtaining, signing and returning an Elector Response Form. Elector Response forms and additional information are available at the District Office located at 7360 Columbia Street, by downloading a form from the Districts website at porthardy.ca, by requesting a form from lsowerby@porthardy.ca, or by calling (250)-949-6665. Elector Response forms must be submitted in the form established, other forms of objection will not be considered. 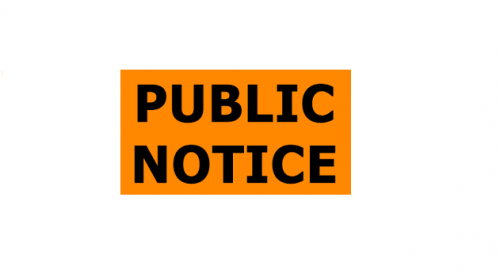 Take notice that unless 10% (272) of registered electors file a notice of objection by 4:30 PM on Wednesday, May 15th, 2019 that the District of Port Hardy may proceed.